This course consists of a 3-day course running Monday 11th March - Thursday 14th March 2019, 18:30 - 21:30. Tickets include all dates. With each session running on consecutive days, the time allows for both teaching theory based knowledge and hands-on practice in each session. We realise that the theory is important but time to practice is crucial. We teach from the very basic skills including understanding the equipment, setting up the equipment, CDJ vs. vinyl mixing, and organising/analysing your music. 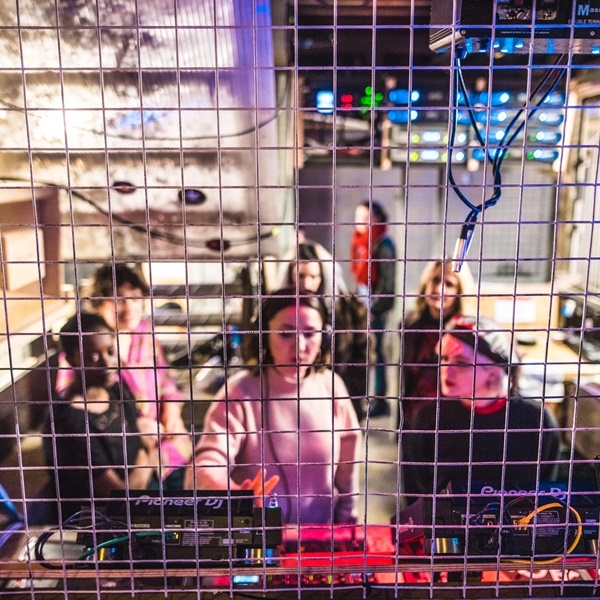 From this, the sessions move on to cueing, beat matching, waveforms and EQ'ing, running through filters, looping and finally how to record your own mix - we also cover online platforms and how to utilise these when setting yourself up as an artist! We also love and encourage peer to peer learning throughout the course - each person attending the course is at a different level and embracing this adds hugely to the breadth of experience. Joining us on the course are a variety of guest teachers from across the musical spectrum. Previous teachers include Coco Cole, Phoebe Valentine, Flic, Dutchie, Jasmin, A-Bee, DJ Lusinda, Tasha, Malissa, Lauryn, Meach, Michelle Manetti and Violent Blondes! Limited spaces are available!